While there is no shortage of books available, that does not mean that they are all of equal quality. This is especially true when it comes to Islamic books for children. Unfortunately, there are many in which the grammar is imprecise, or the level of writing or the subject matter dealt with is unsuitable for children. There is a slow but definite trend towards books of high quality within this niche. The key still lies in buying books that appeal to children, both in their writing, content and illustrations. Look for books that maintain a good pace that can keep children interested, have likable characters, give children an opportunity to exercise their imagination and include some adventure that would appeal to children. Ages 0-2: Durable books with large, bright illustrations; features that appeal to their sense of touch such as fabric or textured books; big, bold words or short rhythmic sentences. Recommended: Allah is Al-Khaliq by Saba Ghazi Ameen, The Way to Jannah by Yasmin Mussa. Ages 3-5: Clear, engaging illustrations; characters that are similar in age or slightly older; animals, real or imaginary; plots that are simple, fun and fast-moving; stories about everyday life or events; stories that reinforce basic concepts such as letters, numbers, shapes and colours. Recommended: Ilyas and Duck Search for Allah by Omar Khawaja, Zak and His Good Intentions by J.Samia Mair. Ages 6-11: Clear, easy to read text; creative and appealing illustrations; stories that encourage discussion, appeal to the child’s interests or that address topics that can be difficult to explain; characters that the children can relate to. Recommended: Circle of Sandcastles by Mariam Al-Kalby, The Story of the Elephant by Hajera Memon. Ages 11+: Books that introduce new concepts, ideas or experiences; characters facing the same issues your child faces at this age; subjects that interest your child; biographies, historical stories, fact books and trivia. Recommended: The House of Ibn Kathir: The competition begins by Nazia Jalali, The Great Race to Sycamore St by J. Samia Mair. Remember that a book does not need to be a bestseller or come highly recommended to be considered good. A good book is one that your child enjoys and that makes him/her want to read. ‘Read’! [Qur’an: Chapter 96, Verse 1]. Developing a love for reading in children will give them an advantage in learning and retaining information as they get older. May Allah help us to bond with our children in this way and make it easy for us to teach them about Him . By carefully choosing the right resources and creating a fun environment in which to learn and play, we can help them develop a love for Allah , His deen and our Prophet Muhammad , from a very young age, In sha Allah. 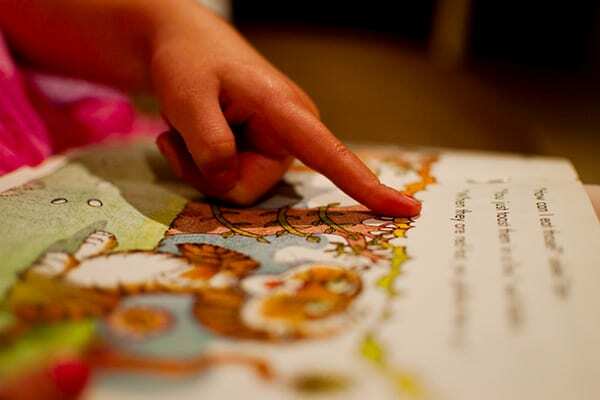 Are you seeking to develop your children into little readers or did you grow up in a household that appreciated books? What tips and tricks can you share to help others achieve this? Let’s aim to raise a generation of passionate readers, In sha Allah! Razeena Gutta lives in Brisbane, Australia. She has a new website www.readlittlemuslims.com and a Facebook page readlittlemuslims to connect parents with the highest quality books and resources being developed for Little Muslims, from around the world.